Rocky Manor is a private seasonal lakefront retreat directly on the shores of the Great Sacandaga Lake. The primary location at 2625 South Shore Road features a private 2 acre lakeside lot with 365 feet of private sandy beach, a private island, and beautiful sunset views, This listed rental unit is fully furnished duplex and can be rented as a single (sleeps 5) or a double (sleeps 10). The cabin is direct lakefront, has a large deck overlooking the lake and is approximately 75 ft from the waters edge and the ~400ft sandy beach. Other accomodations may be available depending on dates and owner occupancy. We are within minutes of Northville and approximately 35 minutes from downtown Lake George and Saratoga Springs. Special note for early/late season renters: This is a seasonal rental, we do not provide full-time whole house heating. There are portable space heaters provided in case of unseasonably cold weather. Born and raised in the Adirondacks, I've lived on the lake my entire life. I spent my childhood on this property and grew up on the lake enjoying it for all it offers. The summer in the Adirondacks can't be beat. However, In the fall I trek the adirondacks enjoying the peace and quiet and in the winter take advantage of the snow for some snowboarding, ice fishing and snowmobiling. This place is my home and always will be! This property was purchased by my grandfather before the lake was flooded, it's been in the family since then, and passed down to my parents. It's a family run business and will continue to be while I'm around! We operate the business to cover our expenses only and keep this wonderful property to pass down. Hands down the best beach on the lake. The sunsets are amazing. Directly on the waterfront 50-100 feet from the shore. ~400 ft Sandy Beach. Plenty of off-street parking, for cars boats and trailers. All necessary dishes, cookware and utensils. There are 3 steps to enter the cabin. The cottage is great. Perfect place to stay with our 4 legged friends. Owner and property manager were very nice and informative about nearby attractions and restaurants. The reservoir is fabulous and the history behind it is very cool. We stayed in the off season so some of the local restaurants were closed but the non-tourist season atmosphere was worth it! Ad was not what we got. Supposed to be 4bdm, 2bath.Turned out to be double wide trailer. Split in half. 2bdrm, 1bath. Soft spots in flooring. Nice beach, row boat, kyack and paddle boat. Owner said it was a mistake. 3 people stayed in trailer and two stayed in a half finished cabin 3/4mi. away, owned by the friend of the trailer owner. Call and check with renter of property before going. Not happy about living quarters. Rest was OK. Per the confirmation sent, it was indicated Placid II (one side, 2 BR). The Ad clearly states the property can be rented as a single or double. It is a double wide modular, renovated, not a trailer. Please look at the photos, and read the entire ad before booking. The property is as listed and is a great price. The guest noted 5 people on the reservation, yet showed up with 9 people. This was the guests mistake not the owner. I personally rented the other cabin for their expanded party at no cost to them. I visited this "unfinished" cabin this past weekend and yes, it is not 100% finished, but it is gorgeous with beautiful marble/tile throughout the kitchen and bath. I will add that this family was very pleasant. This was an unfortunate misunderstanding and believe I went above an beyond to accommodate them and ensure they had a comfortable stay. Glad you had a blast Cody!! We had an excellent time. Good price and beautiful beach. The owner stays next door and always ready to help. stunning location! hosts extremely attentive/friendly/helpful. it's a bit campy, but it's about being outside! hope to get back next year. Great summer get away property!!!! Awesome property. Bob, the owner, was the best!!!!! Went way beyond owner responsibilities. The property was perfect for our girls getaway and plenty of sleeping space!!!! Pics don't do it justice. Beach was beyond amazing. Def would go back!! Thank u for having us!!!! 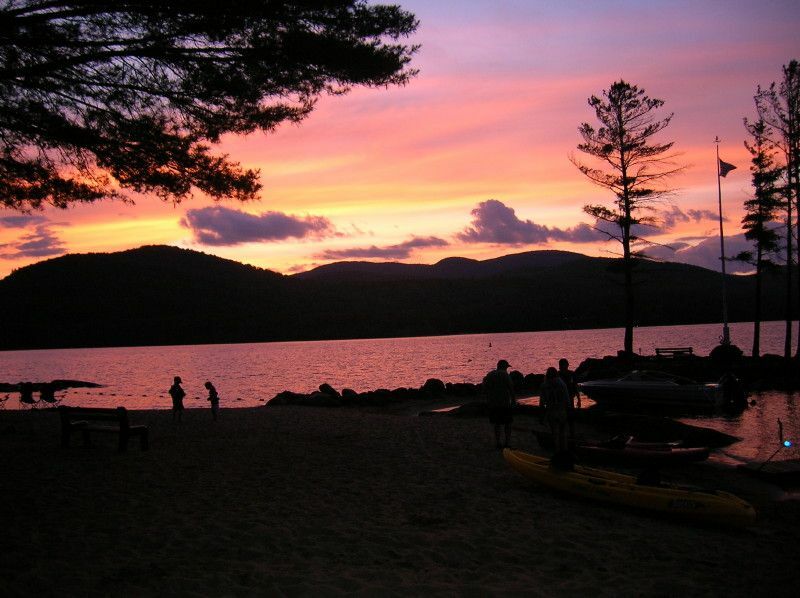 Rocky Manor is located directly on the shores of the Great Sacandaga Lake. The Sacandaga Lake is situated at the southern end of the Adirondack Park. Just a short drive is the quaint town of Northville with plenty of shopping, dinning and nightlife options. The area has endless recreational opportunities beginning with the bountiful water sport activities only footsteps away. If it's dry land you prefer, the Adirondack Park has countless opportunities for the outdoor enthusiast. Only 35 minutes away are the adventure parks of Lake George and the Thoroughbred racing at Saratoga Springs. Cancellation Policy: For rentals 1 week or more, 60 day notice is required for full deposit refund. For rentals less than a full week, 30 day notice is required for full refund of deposit. Upon cancellation, we will make every effort to book the cabins. Your deposit will be refunded to the degree at which we are able to re-book. If we are unable to re-book, your 50% deposit is forfeited in whole.